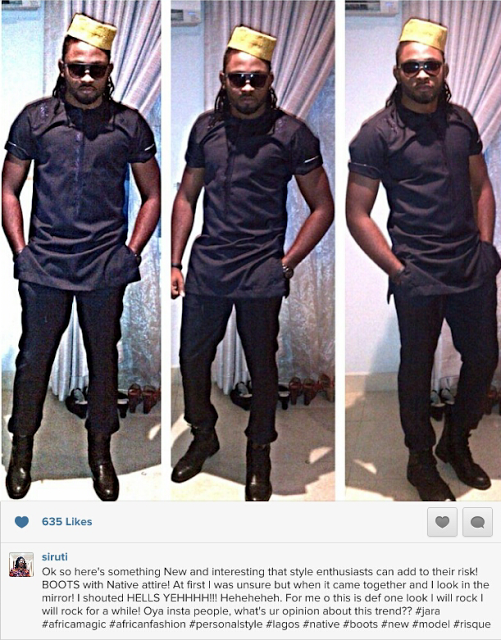 Actor/Model, Uti Nwachukwu shared this photo on Instagram and asked his followers to rate his new trend. On a scale of 1% to 100, 100% being 'finest'. How would you rate his look?